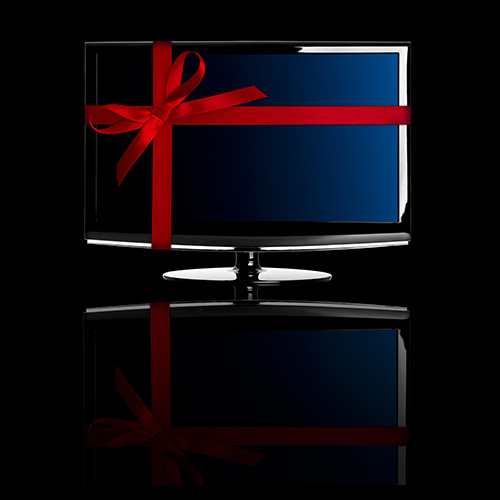 Broadband @ Home » Broadband News » 4K Smart TV — Is There Enough Content? One of the hottest items this holiday season is the 4K Smart TV. A large number of electronics retailers and department stores are offering deals on these televisions that sport a resolution significantly greater than standard 1080p HD. Considering the lack of 4K content provided by cable and satellite companies, the question must be asked: is there enough Ultra HD content to warrant a 4K TV holiday purchase or is this simply another consumer electronics fad that won’t go anywhere like 3D TV? If you want to put a 4K TV on your wish list this year you need to consider other issues as well. One being, how much Internet bandwidth is required to stream Ultra HD and do you have the Internet speed to handle it? Let’s take a look at all of these questions and see if a 4K Smart TV makes sense. Who Offers 4K Ultra HD Programming? Some major content providers do offer a subset of programming in 4K, DirecTV being one example. The latest Genie DVR and an extra monthly fee are required, and of course, a television capable of 4K resolution. In addition, DirecTV customers get the benefit of satellite access to Ultra HD content without tying up the home’s Internet service. Netflix provides a wider library of 4K content, but you really need at least 20 Mbps of Internet speed to be able to stream Ultra HD video without significant buffering and hiccups. Amazon, Comcast, and other content providers are also ramping up their 4K offerings. Video player manufacturers, like Roku, have taken note by releasing new devices capable of streaming 4K content. It is reasonable to expect more Ultra HD content to become available over the next year. If you enjoy watching user-created videos, many of these are available in 4K resolution on YouTube and other services. Most 4K TVs also contain upscaling functionality making “normal” HD content look sharper on screen. Blu-ray players now include models offering 4K resolution (with upscaling) and the number of discs themselves now mastered in 4K continues to increase. Fortunately, these new discs are also playable in older players still connected to a standard HD TV. Their major advantage is superior resolution without the vagaries of streaming media. Streaming 4K content uses approximately four times as much data as regular HD. If you live in area with an ISP data cap, you’ll need to pay close attention to your usage when streaming Ultra HD. Comcast’s 300 GB monthly data cap allows for streaming around four hours of HD content each night, so you can expect to stream only sixty minutes in 4K resolution on a daily basis. If 4K and Ultra HD reach critical mass among consumers one can only hope that data caps will become as obsolete as VHS players. There is reason to consider purchasing a 4K TV this holiday season. Upscaling and the availability of 4K Blu-rays provide a means to take advantage of the enhanced resolution even while providers ramp up their Ultra HD content offerings. However, prices of these high-end TVs will continue to fall over the next year so it’s up to you whether or not it’s best to wait.